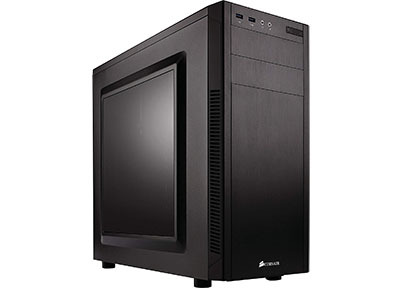 Building a gaming pc is not difficult at all but selecting hardware for best gaming pc build under Rs. 50,000 is not that easy because there are tons of options but we are here to find only the Best. Here is a quick surprise for you guys actually we have two builds for you guys under 50,000(INR) for both AMD and Intel Lovers So If you are an AMD Fan Checkout Our Ryzen PC Build otherwise scroll down to check our Intel PC Build. This is the same build we used at our office for refreshing our minds after long working sessions till now we haven’t face any issue with this build you will get on average 50-60 FPS for any game at full high definition resolution. We carefully choose parts for this build with upgradable options in near future. 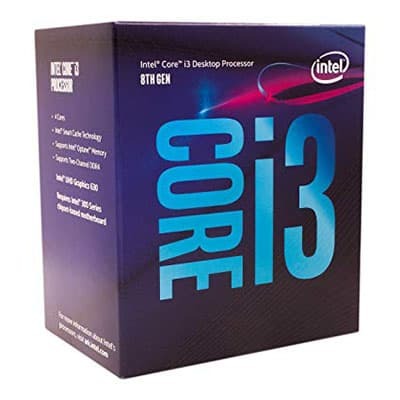 If you want to play games on your PC that’s the only moto then this Intel Build is Perfect for you but if you want to do bit productive work too like Video Editing, AutoCAD, Photoshop etc. I would suggest you to check Ryzen build Below. Intel new 8th Gen coffee lake processors are really good comes with 4 cores and 4 threads clocked at 3.6GHz which is more than enough for gaming purpose and for this processor stock fan is good enough so, you don’t need to waste extra money on cooler. A motherboard is the most important part for any PC that’s why we decided to go with Asus Prime B360-M Gaming motherboard this board had a lot of features and also this motherboard support all the high-end processors up to i7 so, if you want to upgrade your processor in future then you don’t have to spend extra money on that. 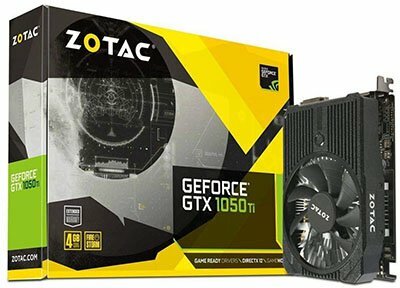 Coming on to the most important part of gaming PC Build is GPU, for GPU I Choose ZOTAC GeForce GTX 1050 Ti mini 4GB GDDR5 Graphics Card which is a beast for gaming that GPU has Nvidia Latest G-Sync Technology and also VR Ready So, you can also play Virtual Reality Games if you want to and that cost you almost 13000 Rupees on Local Store but its very expensive online I don’t know why. 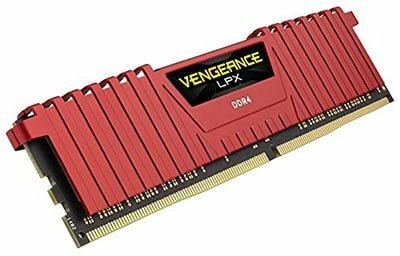 RAM is Important for multitasking and for this build I choose Corsair Vengeance 8GB DDR4 LPX 2400MHz Speed This will make your PC Blazing Fast. We have decided to use the WD Blue 1TB Hard Disk Drive which will slow the bootup speed but, HDD offers more space at a much lower price then SSD. 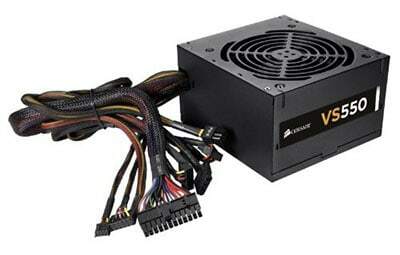 We choose Corsair 450W PSU This will cost only 3500 Rupees and It comes with 3 years warranty. So Let’s Start with the Cabinet for this build I Choose Circle Gaming Cabinet Phoenix Which Cost 4800 Rupees on Amazon and have all the Features like USB 3.0, Graphics Card Support Up to 400. 2 – 120mm Fan on Top and Front Options. So that is My Choice for this Build But if you want to save money then you can also go for Circle Gaming Cabinet CC 821 or 100R which cost only 3000 Both are good for this Build. If you are an AMD fan or looking for a machine which also performs better in multitasking then this build is a better option for you. 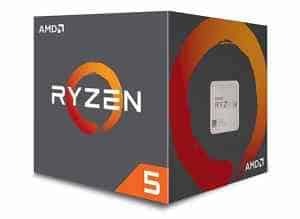 For this build, we go for AMD Ryzen 5 The Latest Processor from AMD in 2017. It is a Quad Core Processor. 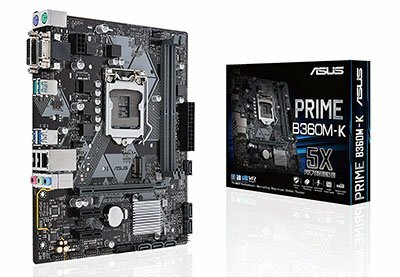 It got the new AM4 platform, which supports blazing fast RAM speeds up to 3200MHz and offer Better Multi-core performance compared to the older FX- series and the Intel Core i5’s. 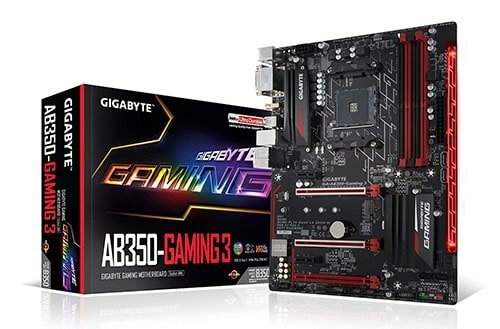 I choose GIGABYTE GA-AB350-GAMING 3 AM4 AMD RYZEN which has great value for money up to 32GB of RAM Support and motherboard Support Full 4K Resolution which is great. For this build, we choose bit bigger PSU because Ryzen processors will consume more power the Intel on so we choose Corsair 550W PSU This will cost only 3500 Rupees and It comes with 3 years warranty. All other parts for this build are same as above like RAM, Cabinet, Internal Storage, and Graphics card. We want to make this build future proof that’s why we go for high-end gaming motherboard with support M2 SSD and all the latest Intel Processors Core i3,i5,i7 up to i9. If you want to speed up your boot-up time then I’ll suggest you Samsung EVO 860 M2.0 SSD or WD 240GB M2 SSD. Although Intel Processor comes with fixed clock speed and for this stock fans are than then enough. But if you are going with AMD Ryzen Build then I suggest you Cooler Master Hyper 212. If you to play games in ultra HD resolution then I suggest you to add GTX 1060 3GB Graphics card which cost 4000(INR) more then 1050. Gaming Keyboard – If you want best gaming experience then a good accessory is a beast gaming PC is must and for keyboard, our choice is Redgear Blaze 3 if your budget is under 1K but if you can spend up to 4K then Circle Squadron M Gaming Keyboard is the best. Gaming Mouse – for this build our choice is Corsair Harpoon 6000DPI gaming mouse. But if you can expand budget then Logitech G502 mouse is best. Headphones – Hey if you want chicken dinner in PUBG then headphones is must for you and our choice is Logitech prodigy G231 which cost around 3K but if your budget is bit low you can go for a budget option from Redgear like Redgear Cosmo 7.1. Gaming Monitor – There is no specific gaming monitor in the budget section but there are some really good options under 10,00o for Full HD monitors and one of them is LG 22-inch Monitor which cost Rs. 8,499. So, That is our Configuration for Best Gaming PC Build Under Rs. 50000 in India. If you have any suggestion you are most welcome. If you like this Build then Please Share this on Social Media with you friends. Can I play, GTA V, CS, BATMAN, racing games with racing wheel on it? Why is there no SSD? Short of money if you can spend 7000 Rs you can add 256 GB SSD but if you are a gamer then basically you don’t need SSD. Hello Jintu, I’m not Sure about 7 to 8 Years but with GTX1060 6GB is more than enough for good gaming experience up to 2020 Because this is a shifting stat we don’t know what new will come on tomorrow. Under Rs 49,999/- with Onsite warranty and life time support over and above individual components manufacturer warranty. With super best deals on Monitor.